This oven is equipped to be self-cleaning, meaning little effort is needed on your part to cleanse it of any food that cooked over. Instead of spending hours scrubbing at the eyesore, let the oven itself take care of it. The only thing you will need to do is wipe away the residue left behind. There are two different settings that the oven can self-clean with. Use the high setting for heavy soils, and low setting for lighter soils. Expand your cooking capacity with this 5.0 cu. ft. gas range. 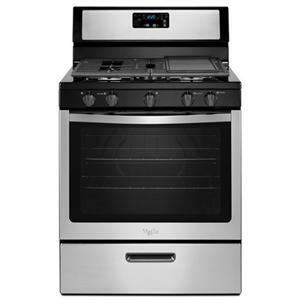 The versatile gas cooktop provides plenty of options for control with its different burner levels. 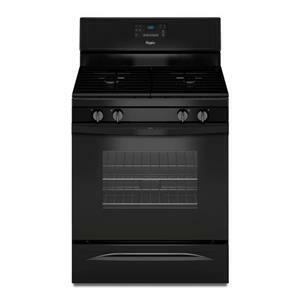 The large oven capacity makes it possible to cook multiple dishes at once saving lots of time and money. The oven is self cleaning and is adjustable so you can select the right level for light or heavy soils. This range is gas convertible which allows you to switch between gas and propane with the LP gas conversion kit. The Gas Range 5.0 Cu. Ft. Gas Range with Easy Touch Electronic Controls by Amana at Pedigo Furniture in the Livingston, Onalaska, Trinity, Coldspring, Corrigan, Huntsville, TX area. Product availability may vary. Contact us for the most current availability on this product. 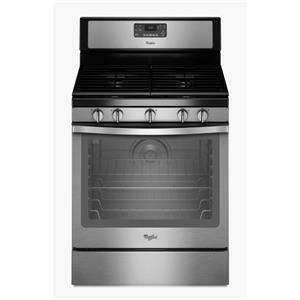 The Gas Range collection is a great option if you are looking for Appliances in the Livingston, Onalaska, Trinity, Coldspring, Corrigan, Huntsville, TX area.